1929. British Industries Fair catalogue. Their daybooks and accounts are extant from 1704, and are preserved in County Hall Record Office, Westminster, London. Every sort of basket was made, from simple sieves to silver baskets for Buckingham Palace. 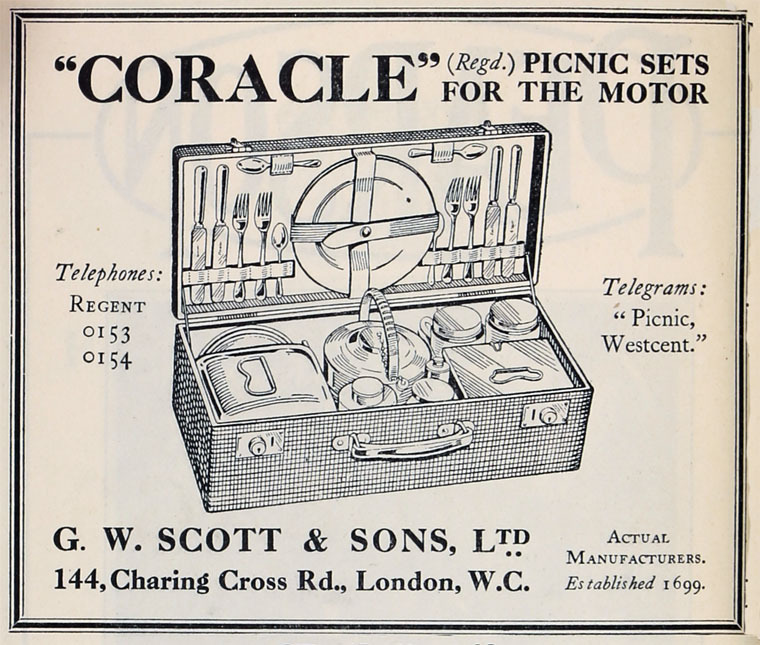 Scott's also did much trade with the London silversmiths covering the handles of silver coffee and and teaspoons. This is called wickering. After the Crimean War (1854-6), Scott's made cane frames for the bearskins of the Brigade of Guards. 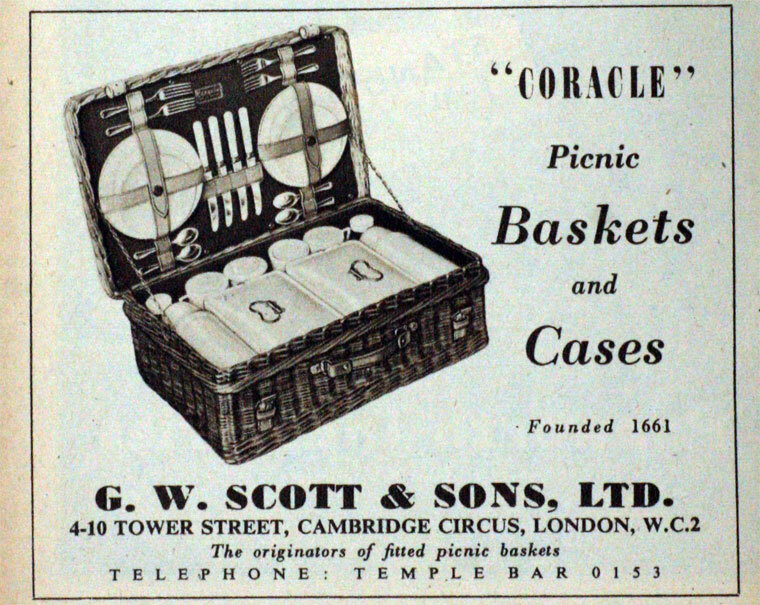 1851 They invented the picnic basket and showed it at the Great Exhibition. Until the closed they made stage properties for many London theatres and Covent Garden Opera House, and also had a considerable hand in the decorations of the Battersea Pleasure Gardens for the Festival of Britain in 1951. interpreting the designs of John Piper, Osbert Lancaster and Ursula Earle. Cane furniture was one of their specialities. This page was last edited on 27 July 2017, at 16:48.